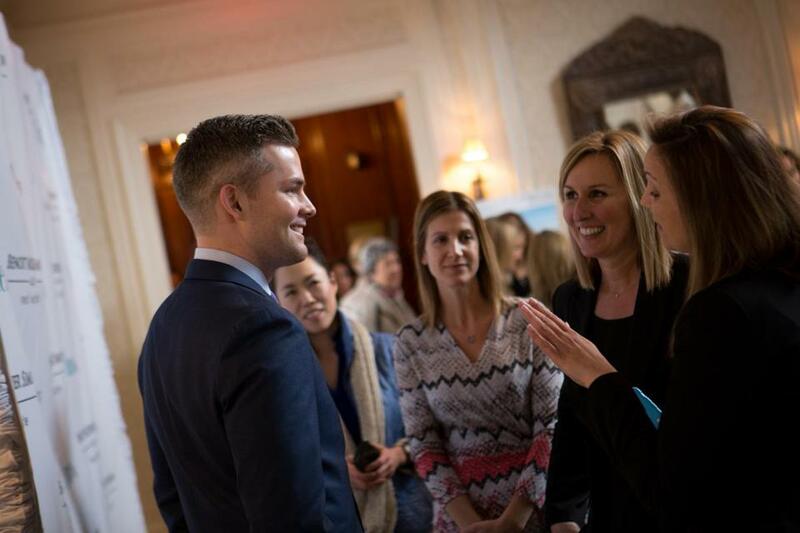 Ryan Serhant (left) at Thursday’s event. Ryan Serhant, of Bravo’s “Million Dollar Listing New York,” had a private event Thursday with local brokers at Henderson House, a Weston property available for just $7,795,000. Serhant is not just a celeb real estate broker, he’s also an actor. He steals scenes in Noah Baumbach’s “While We’re Young” as a vapid hedge fund guy.